Take a Knife to Nero! Think Merlot with backbone! Think Cabernet with a sense of humour! 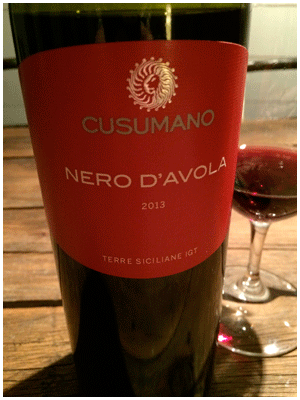 And you’re getting the picture of this wonderful red from Sicily. It’s gulpable enough for burgers, but also hefty enough for more substantial meals. Crafted for the modern palate – smooth, so serve without fear. P.S. Beneath the neck foil is more foil – once past that you’ll find the glass cork. No need for a corkscrew, just a knife. Plus there’s the nifty glass cork, no? Yes, a glass cork. Think I mentioned that! You’re on it Geoffrey. Sleeping at the wheel! There is not a big stock of this around. Very decent wine.